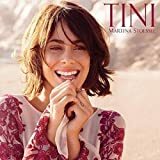 Light your heart – Paroles de la chanson dans “Tini : la nouvelle vie de Violetta”. Paroles : Jess Cates, Jordan Mohilowski et Dan Ostebo. On the night streetlights are gone. I’ll be the sun so your dreams can run. When the waves go take you out. I’ll be the sound that drowns the crowd. We’re gonna, sing, sing, sing. We got this fire in us. So if you ever doubt. Whatever stars you’re looking at tonight. On top of the world or alone inside. Whatever place no matter where you are. Even when life tries to take your spark. On the wire just holding on. I’ll be the one when the walk is long. Fight for ya when you don’t believe. Storm the kingdom and take the keys. Even when you can’t see i’ll light your heart. We got each other through everything. We got each other we sing, sing, sing.